AUS is a common module for all integrated application systems like HMS, RCM, IPS, ... etc. 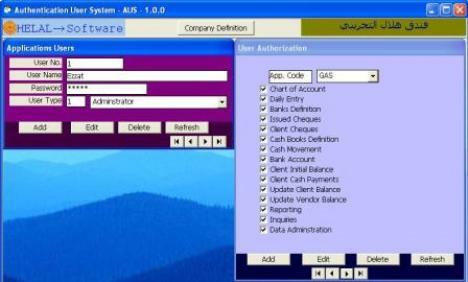 The system administrator uses this application to define users of the other modules and give them authorization for the modules functions. He also defines the basic data of the company like Hotel name, address, registration data, ... etc.